We always wake up with a sense of anticipation on Feb 2, wondering if the furry rodent of Punxsutawney, PA will see his shadow or not. Honestly, we don't fully believe in the woodchuck's ability to make long-term weather predictions, but the idea is fun. 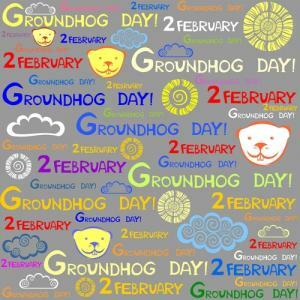 This day was memorialized in the 1993 movie Groundhog Day starring Bill Murray. Murray played a cynical news reporter sentenced to repeat the lessons of his least favorite day with his least favorite assignment - covering Groundhog Day in PA - until he makes enough personal progress to move on in life. Bankers may be feeling a bit like they are participating in a similar cycle, with interest rates stuck so low for so long that they are destined to repeat the difficulties of managing rock-bottom levels over and over. Once again predictions of rate increases abound and higher rates would bring increased interest rate risk, but also hopefully more opportunity for profitability. So, here we are, waiting for the Fed to move rates. In the meantime, most banks have experienced shrinkage in net interest margin (NIM) over the past year. That has come with good news in the form of the lowest cost of funds (COF) ever perhaps, although the reduction in COF has probably been plateauing. In many banks, the yield on interest earning assets, especially loans, decreased more than the COF (simply because there is more room to move) resulting in a contraction of NIM. It's a new day though as this year we are poised for interest rates to finally begin increasing. While no one can be accurate on rate movement, we wonder how many bank ALCOs or BODs believed the same thing at the beginning of 2014, and maybe even in 2013. We just do not really know when or how interest rates will change, so bankers have to adapt as they go. As of now, conventional wisdom indicates that the Fed will increase short-term interest rates in the second part of this year. Is your management team looking closely at what to do now or are you waiting until this occurs? Are you planning what to do if the increases only total 25 or 50bp or what if they go up 100bps? What will cause NIM to improve and what will cause more pain? What would happen if short-term rates increased like they did in 2004 when the Fed Funds rate rose from 1.25% to 5.25% over a 2Y period? What if rates don't increase at all? These are the questions bankers face every day, but that is the business of banking - managing interest rates and taking prudent risks with all the possibilities in mind. Given the vagaries of the market, the best that can be done is to be prepared for whatever direction rates go (including if they go nowhere). Chances are that your bank has little ability to change the direction of lending rates given heavy competition, so one area that remains in play is on the funding side. The "market" controls market rates, the Fed controls the Fed Funds rate, but your bank controls its funding behaviors. Your deposit mix, positioning, business model, discipline and funding practices all have a significant influence on how your deposit costs change, so it makes sense to focus on this. You cannot move rates, but the best performing banks never stop working to improve performance. Don't defer taking action on funding, as efforts to improve your funding and liquidity can be made at any time. As for the movie Groundhog Day, Bill Murray's character had to prepare and act rationally before he could move on. The same is true for banks in today's interest rate environment. Treasury yields plummeted 10bps by the close of the day as GDP came in significantly below market expectations. Yields are up 3bps while the market waits for Personal Income numbers to be released. 1) Ameris Bank ($4.0B, GA) will acquire Merchants & Southern Bank ($398mm, FL) for $50mm in cash. 2) NBH Bank ($4.8B, CO) will acquire Pine River Valley Bank ($142mm, CO) for about $14mm in cash. 3) Community & Southern Bank ($3.6B, GA) will acquire Community Business Bank ($146mm, GA) for an undisclosed sum. Ameris Bank ($4.0B, GA) will acquire 18 branches holding about $812mm in deposits in FL and GA from Bank of America for an undisclosed sum. The Fed has proposed a rule that would allow bank holding companies with less than $1B in consolidated assets to operate with higher levels of debt than before, as long as they meet certain qualitative requirements with respect to nonbanking activities, off-balance sheet activities and publicly-registered debt and equity. Community banks may find it interesting that research from Citibank finds the ROAA for the top 3 largest US banks has averaged about 0.48% since about 2010 and the ROAE has been about 5.0% over the same period. Meanwhile, the loan to deposit ratio for this group of banks reached about 75% in Q4 2014 (after running below 70% since 2012). We want to alert community bankers that we have heard from other bankers and based on our own research that regulators are talking about default levels on owner occupied and non-owner occupied CRE (in relation to the 300% guidance). One reason could be related to underwriting standards and actual default analysis from the crisis. Consider that some banks may originate non owner occupied with a 1.5x DCR and 70% LTV, but would also originate owner occupied at a 1.3x DCR and 75% LTV. We are monitoring this situation closely and will report back as conditions change, but wanted to alert our readers. Bond King Bill Gross predicts the Fed will raise rates in Jun by 25bp. Meanwhile, JPMorgan also projects Jun as the most likely date for the first rate hike.